Loved this dish. So easy, so quick, and not your typical crockpot meal. I was a little worried about it cooking the meatloaf all the way through but it did and it was delicious. Plus, I love that it used ground turkey. salt, pepper, paprika, garlic salt, Italian seasoning to taste. 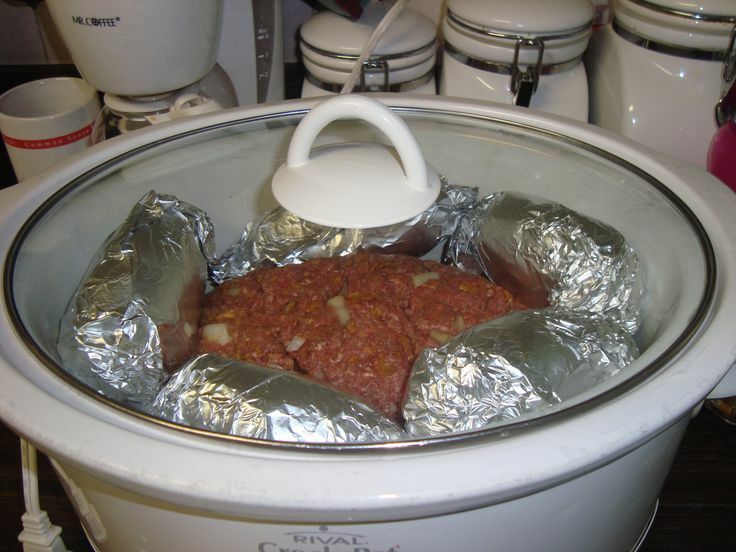 Mix the ingredients well and form a “loaf” in the bottom of your crock pot. Then, wash 5-6 small-medium potatoes, prick them with a knife or fork, and wrap them in foil. Place them around the meatloaf. Cook for 8-10 hours on low. You do not need to add water, and wrapping the potatoes is optional (I just like them to have their own flavor at the end of the day).